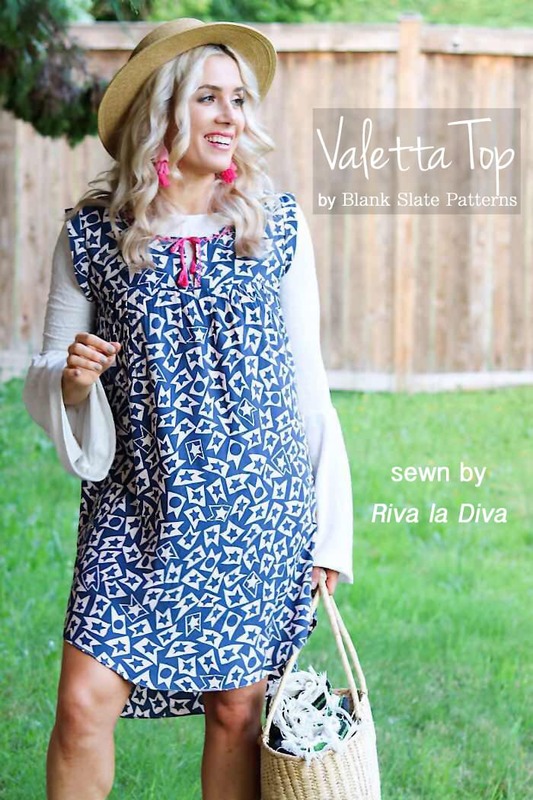 Hey there, it’s Riva from Riva La Diva with you here today and I’m showing you my most favorite way to wear the Valetta Top (aff link) this summer… as a DRESS. I’ve been wanting to make this pattern for a looooong time and I’m so excited to have this dress for summer. It’s such a happy and easy look! 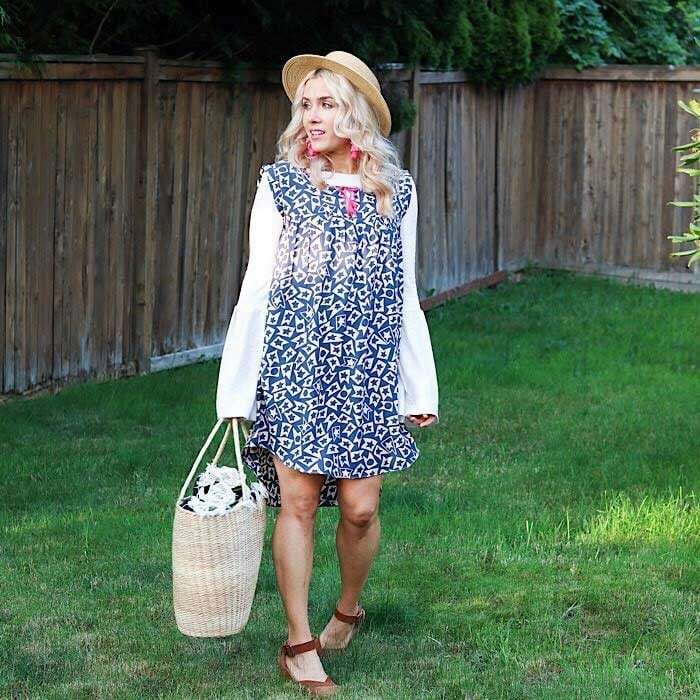 Each summer, I opt for more bohemian inspired styles – it wouldn’t feel like summer without it! 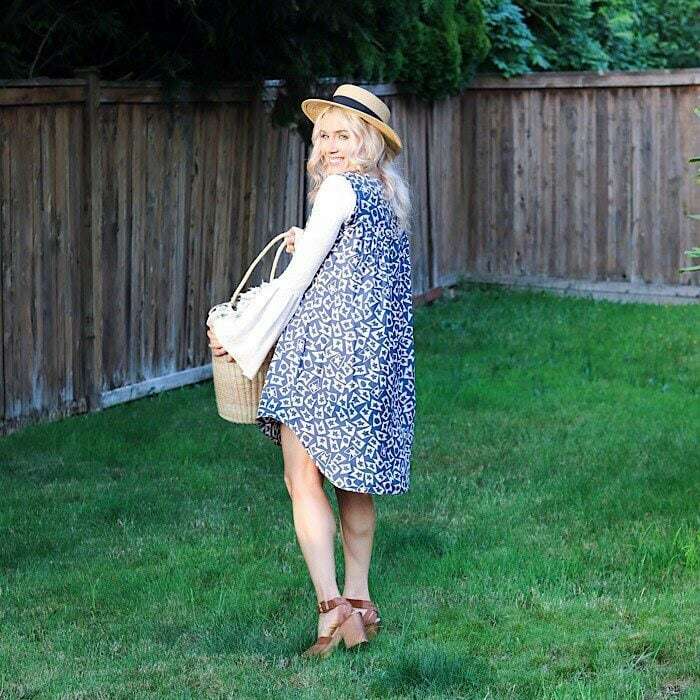 This dress is all about that boho-chic vibe! So let’s get started; turning this top into a dress it EXTREMELY easy and can be done in 3 steps. and then blend the side seam lines (lengthening the body will slightly alter the side seam). I’m also obsessed with all those Mexican folk dresses and wanted to subtly bring that vibe to this particular look. So instead of a matching tassel at the neckline (blue), I choose a contrasting thread instead (pink). Additionally, I added some decorative details to the neckline with the remaining embroidery floss I used for the tassels. 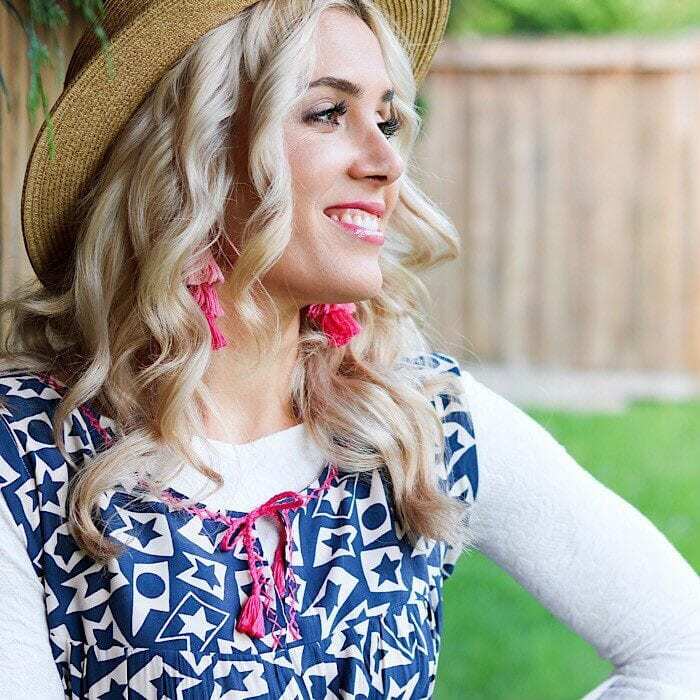 Now, the best part about this pattern is the uneven hemline – I LOVE the curved hem. The curved hem allows the hemline fabric to move and come to life with each step you take. It’s AWESOME. As far as fabric choices…. For those who don’t know, I live just outside of Seattle, WA and most homes in the area are without air conditioning – including my home. It’s rarely hot in the summer but when the temperatures do eventually rise, it’s unbearable. So it was really important for me to use a textile that is light and breathable, which is why I used a woven rayon. Rayon is a lot like cotton but it has a light hand and drapes easily. It can shrink significantly, so I try to not throw it in the dryer when I wash it. And because it is rayon and thus lightweight, it’s another reason why it gives this dress that flowy factor that I can never resist. Anyways, if you haven’t tried Valetta as a dress – GO. Make one. It’s seriously the best! Until then, thanks for letting me visit and I look forward to visiting with you all soon!